FOUR CHILDREN TAKEN into Mexican State care following the discovery of an illegal adoption ring have shown signs of sexual abuse, officials revealed this morning. 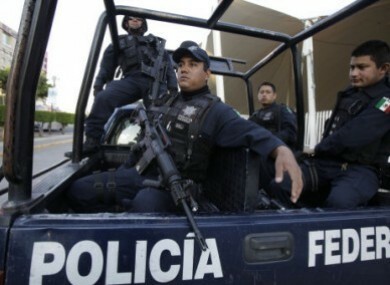 Ten children were seized by authorities in the western Mexican city of Guadalajara after they uncovered the apparent child trafficking scam last weekend. Eleven Irish couples hoping to adopt children in the country have been caught up in the investigation. “There are four children who show signs of having been abused (sexually), perhaps not in a violent way but there are signs (of abuse),” the Jalisco state attorney general Tomas Coronado told reporters today. He did not reveal when the abuse took place. The Department of Foreign Affairs told TheJournal.ie that it is providing consular assistance to 11 couples. A representative from Ireland’s Embassy in Mexico has travelled to Guadalajara to be with the Irish nationals. The spokesperson for the department could not make any further comment as it is a legal matter for Mexican authorities. It is understood that at least 15 Irish citizens have made statements to police who are trying to establish if they were tricked or “acted in bad faith”. According to the Associated Press, the couples were giving €70 per week to the mothers involved throughout the adoption process. “The great majority of the people from Ireland who have given their testimony have said they thought it was part of the adoption protocol in the state to be paying and that obviously means (someone was making) a profit throughout the adoption process,” Coronado said. The apparent smuggling ring was smashed last week after police were told by a woman that her sister-in-law was selling one baby and “renting out” another. A 21-year-old woman was subsequently arrested and she led police to the group of three women she was renting her child to. The mother claimed they told her they needed the baby for photographs for legitimate advertising purposes. Another three nannies, one of their sons and a taxi driver have also been taken into custody in the ongoing investigation. Seven of the children, aged between two-months and two-years old, had already been given to the Irish couples before they were taken into care. Police detectives found the group organising the adoption taking children to a hotel in the city where they met with the couples who believed they were going to adopt them. The couples then took the children to the nearby lakeside resort of Ajijic, where they were staying until the adoptions were finished, prosecutors said. Another property, said to belong to the lawyers processing the illegal adoptions, was raided by police yesterday. According to local reports, they ran newspaper advertisements seeking expectant mother who wanted to give their children up for adoption. Two lawyers from that firm are wanted for questioning. The Adoption Authority of Ireland said is “aware of the recent and ongoing news reports relating to arrests in Mexico”. It has been in contact with the Irish Embassy in Mexico and will assist in any way that is needed. However, it said it cannot offer comment on any individual cases. Mexico has become increasingly popular as a country to be considered for intercountry adoption in recent years. It ratified the Hague Convention in 1995. However, the former Adoption Board and the AAI have had occasion to raise a number of concerns with diplomatic and official Mexican authorities, and has urged caution on a number of occasions over the last 15 months. The latest warnings were issued on the 5 and 12 January. The group is now dealing with multiple queries from individuals worried about their own personal circumstances. Email “Children in Mexican adoption scam show signs of sexual abuse”. Feedback on “Children in Mexican adoption scam show signs of sexual abuse”.